Preparing healthy salmon recipes doesn’t need to be difficult. Get all of the health benefits of this omega 3-rich food with very little effort with these 10 recipes. When I think of my mum’s cooking, there are a few dishes that come to mind. She is the queen of curry (the dish most requested by family friends when they are invited over for dinner) and the master of throwing together simple and delicious healthy salmon recipes. I’ve lost count of how many times she’s fed a crowd of people by baking or barbecuing several large pieces of salmon in foil. She instilled in me a love of fresh seafood and a desire to play around with different flavor profiles to keep dinnertime interesting. The fact that salmon is also a healthy topic is a welcome bonus! 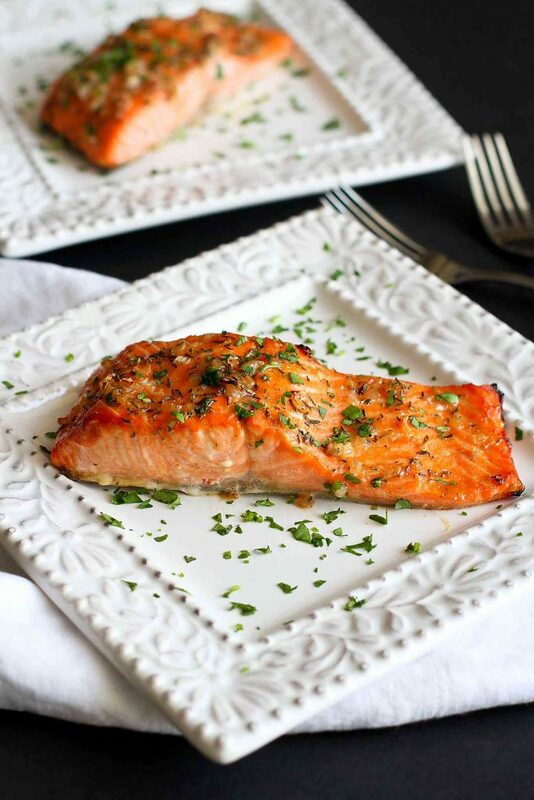 When you hear about heart healthy foods, salmon is often near the top of the list. Why? Because they are loaded with omega-3 fatty acids, which are known for a whole of health benefits, such as reducing heart disease risks, fighting inflammation and improving joint health, to name a few. My one tip for preparing salmon: Don’t overcook it! I’ve told you about my favorite tip for testing fish for doneness, but it’s worth repeating. Insert a small sharp knife into the center of the piece of salmon for 10 seconds. Carefully place the side of the knife against your upper lip, which is a sensitive place for determining temperature. If the knife is hot, the fish is done! 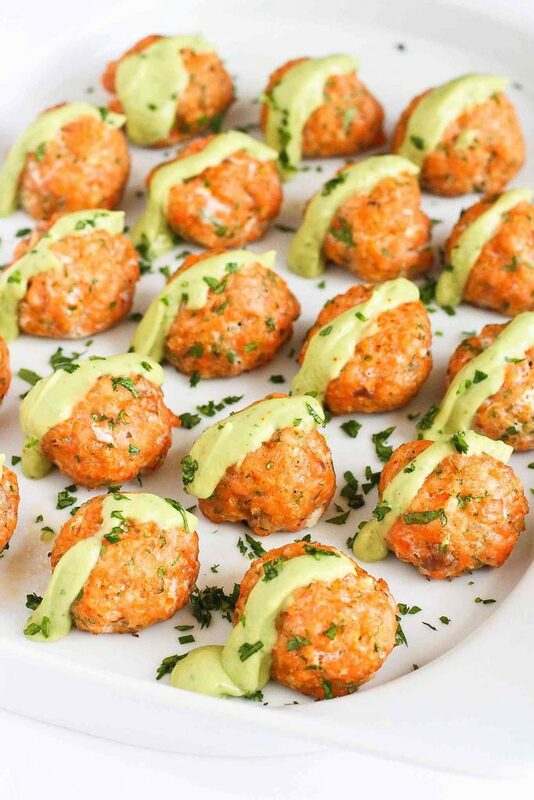 Seriously, these Baked Salmon Meatballs with Creamy Avocado Sauce may be some of the best things you’ve eaten in awhile. They’re made even better with a dollop of creamy avocado sauce on top. 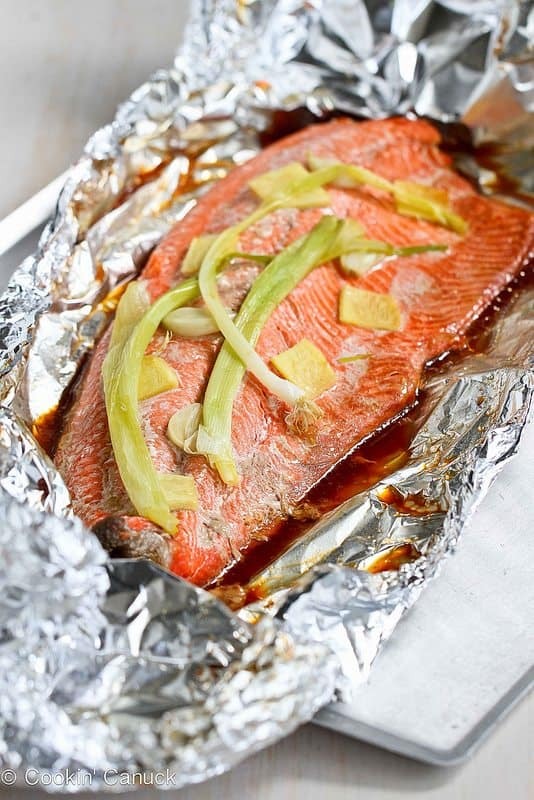 This Easy Grilled Salmon in Foil with Ginger & Soy Sauce, with the flavors of soy sauce and ginger, requires virtually no clean-up. 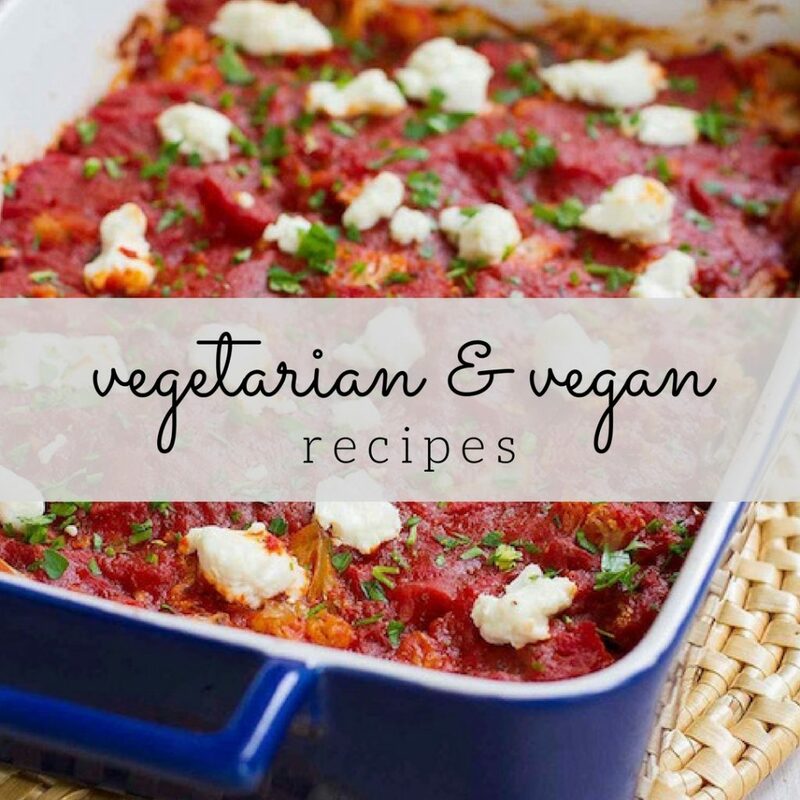 It’s perfect for busy weeknights! 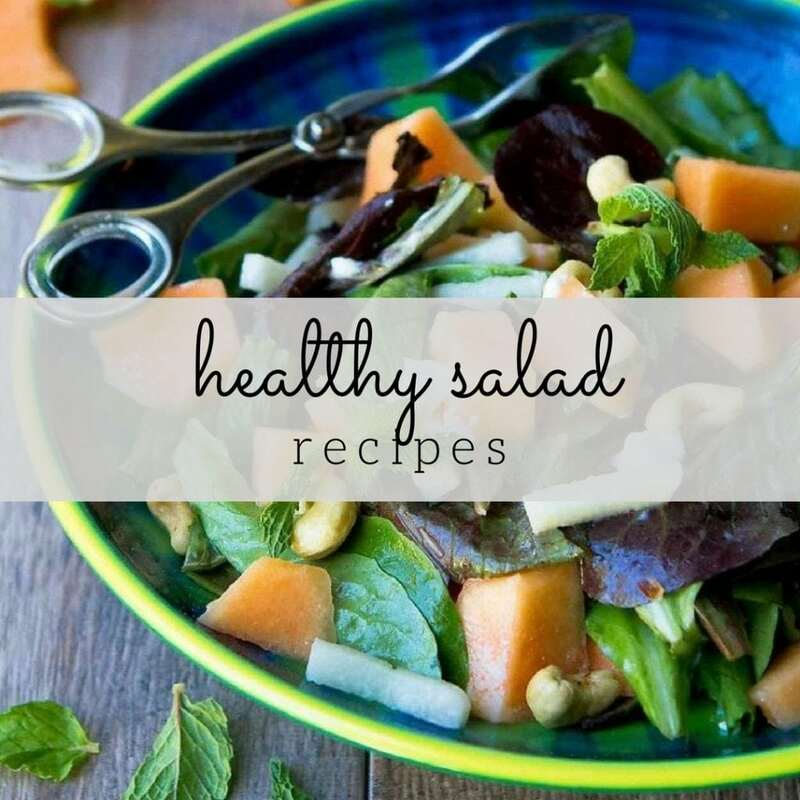 Sweet, savory and heart healthy. This easy Maple Dijon Baked Salmon recipe is great for weeknight meals or entertaining, and it’s absolutely delicious!. Only 6 ingredients are needed for this quick and easy (and delicious!) Quick Curry Salmon. Fifteen minutes, from start to finish. 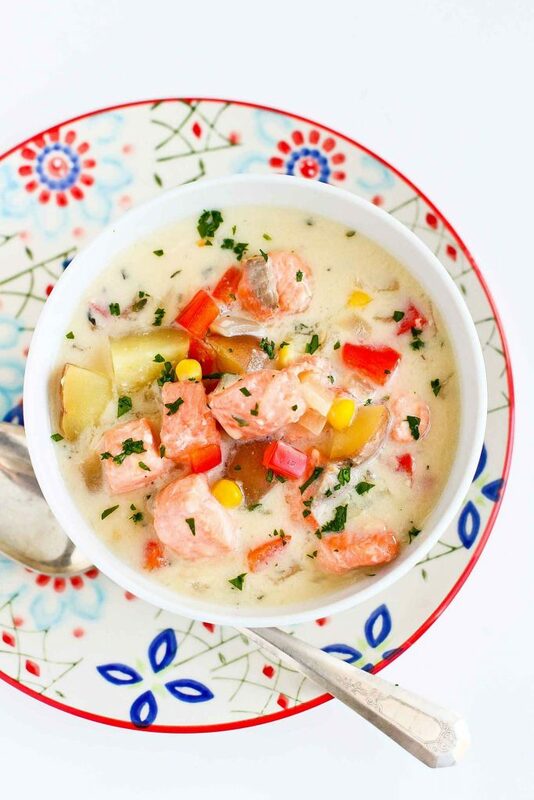 This Light Salmon Potato Chowder recipe allows you to indulge in a creamy potato soup without the guilt. Delicious and comforting! 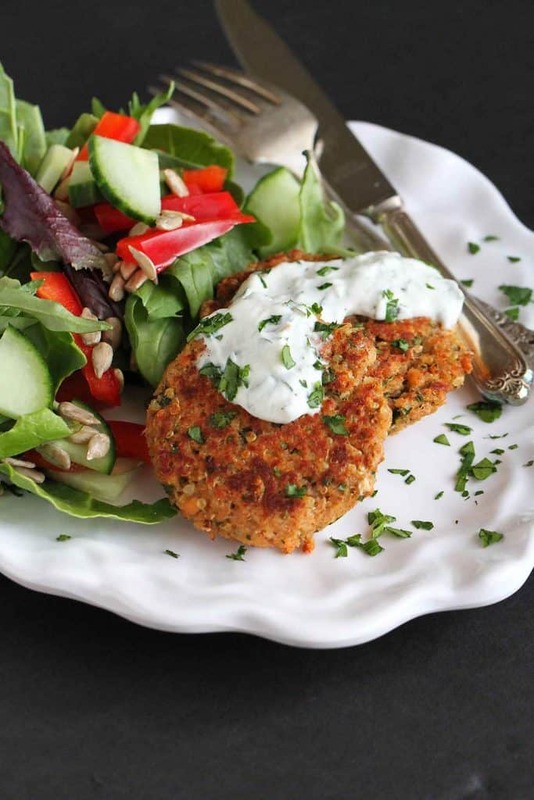 This easy, healthy Baked Moroccan Salmon Patties recipe gets a makeover with Moroccan-inspired spices and a refreshing yogurt sauce. One of my favorite lunches! 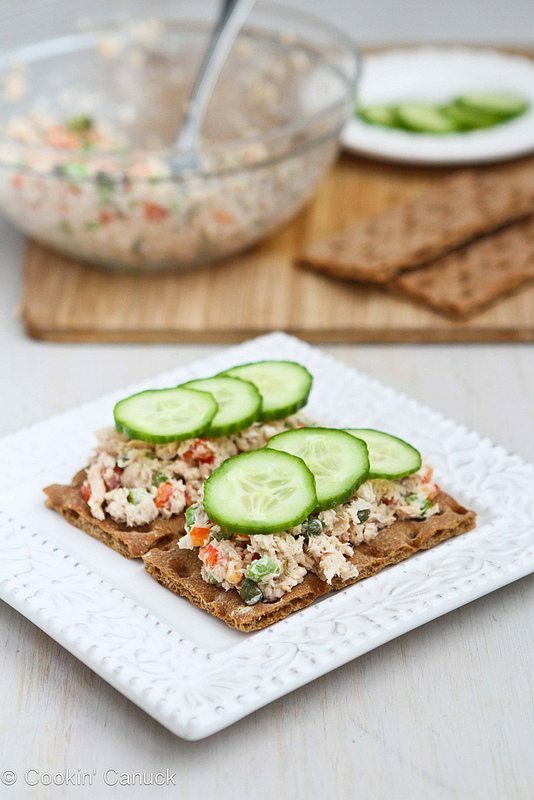 This Low-Fat Salmon Salad Sandwich with Capers recuse is a quick and easy lunch option that will help you stick to your healthy eating goals. 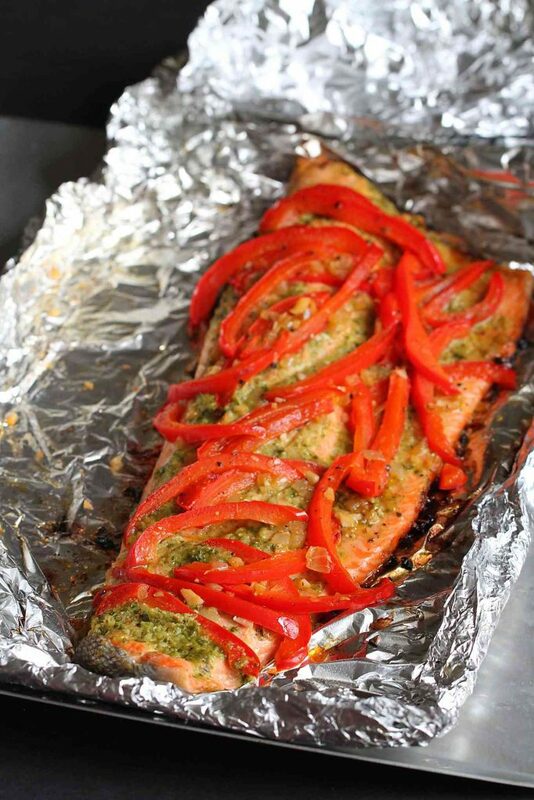 This Easy Grilled Pesto Salmon in Foil, with basil pesto and sautéed peppers and shallots, requires virtually no clean-up. 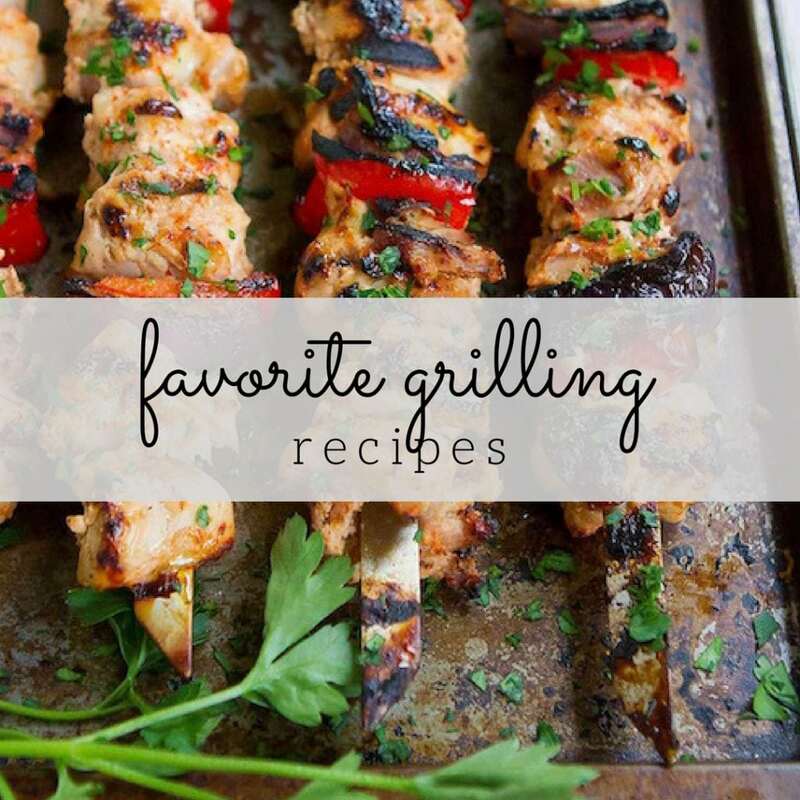 It’s perfect for busy weeknights and entertaining! 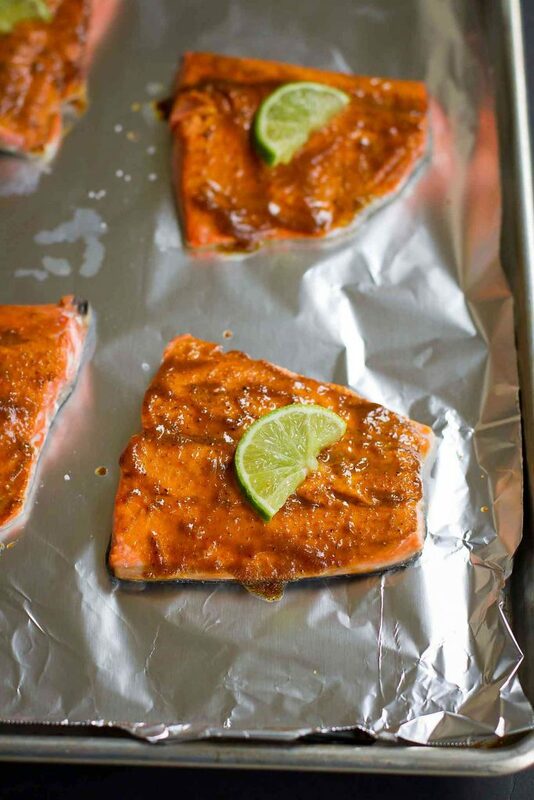 This Soy Honey Glazed Salmon recipe, with an easy salty-sweet glaze will become one of your go-to weeknight recipes. It only take 12 minutes to prepare! 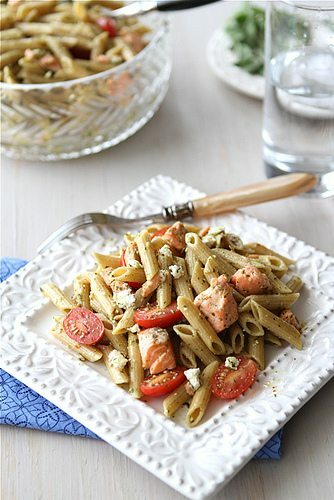 This Whole Wheat Pasta Salad with Salmon & Herb Dressing works just as well for an easy weeknight meal as it does for a summertime picnic. 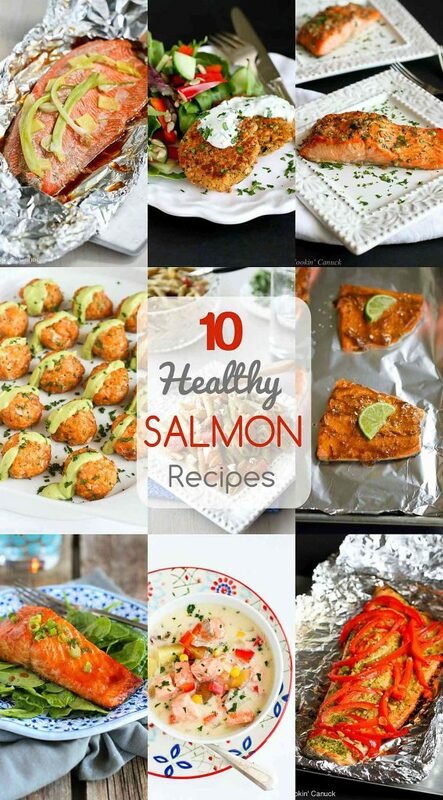 I am definitely a salmon lover, and all of these recipes look amazing. And added benefit that salmon is so good for you! 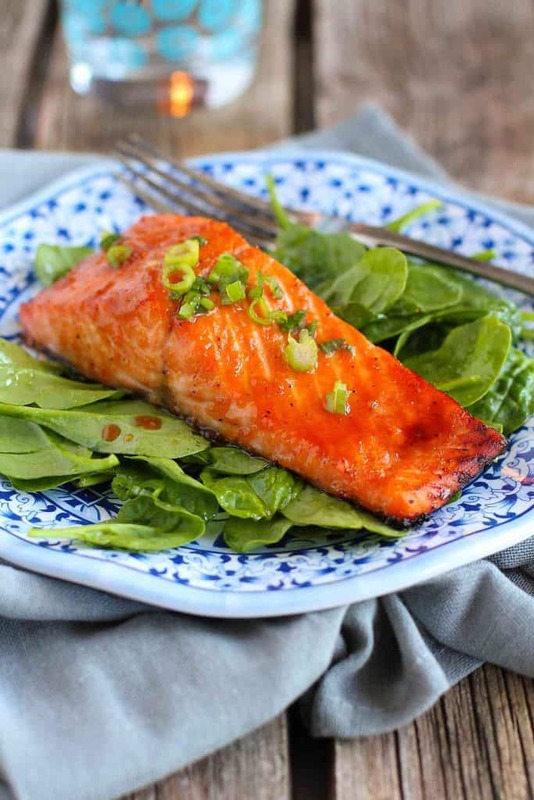 This is such a great round up of salmon recipes! I’ve been in such a dinner rut lately, so I can’t wait to try some of these out! Such an awesome roundup!! Everything looks and sounds terrific! I don’t know which recipe to start with – I think I’m gonna go with #10. That pasta sounds delicious. I ADORE salmon! Can’t wait to work my way through all these delicious recipes! I am always looking for more ways to enjoy salmon! Love this round up!